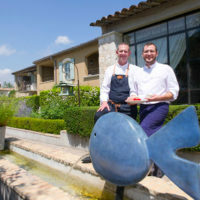 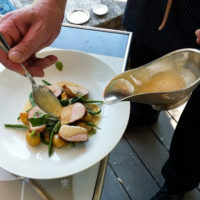 At Le Mas de Pierre, the new Lis Orto bistronomic restaurant in Saint Paul de Vence, the chef Emmanuel Lehrer offers delicious, sunny and refined specialties at lunch with perfumes of Provençal terroir. 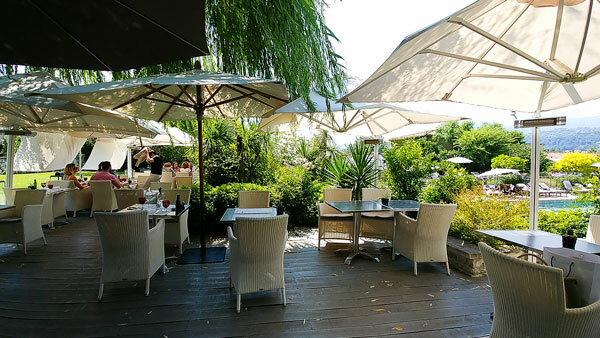 Opened in 2005 in the soft hills of Saint Paul de Vence, Le Mas de Pierre is a poetic and enticing address. 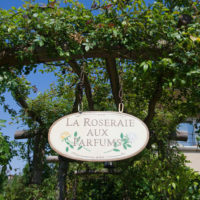 This three-hectare haven of peace joined in 2006 the prestigious and luxurious Relais & Châteaux collection. 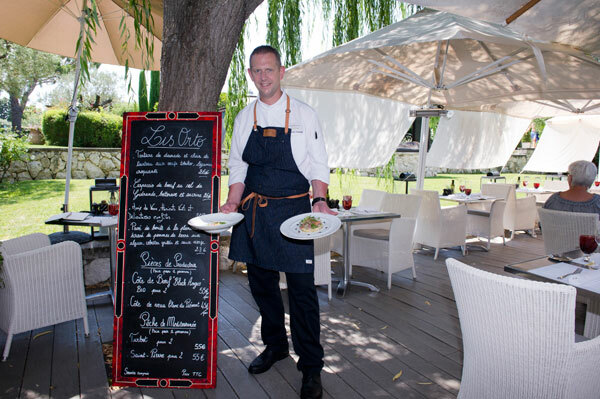 Lis Orto (The Gardens in Provençal) is today supplementing the delights of the gastronomic restaurant La Table de Pierre with a refined and fresh bistronomic cuisine, scented with the sunny flavors from our terroirs, prepared with virtuosity by chef Emmanuel Lehrer. 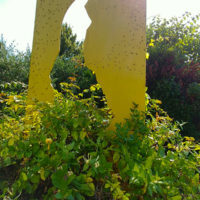 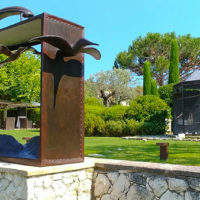 All paths on the estate are naturally leading to the terrace of Lis Orto, the new Provencal bistro of Le Mas de Pierre, overlooked by Evasion, Folon‘s monumental sculpture. 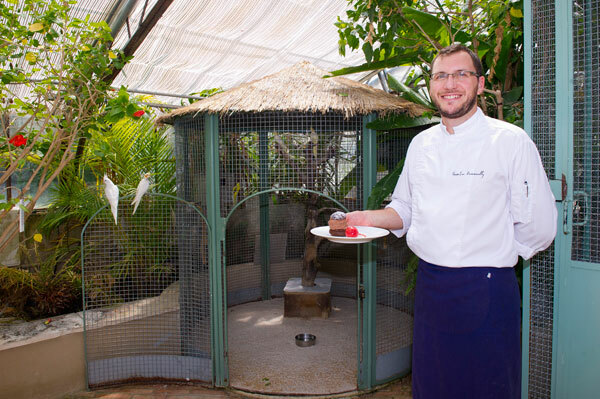 In this heavenly place, sheltered by white parasols deployed majestically on the terrace opening onto the turquoise waters of the swimming pool, the chef Emmanuel Lehrer is practising his art as a “maestro des fourneaux” with the same organic and “locavore” products he is using for the gastronomic restaurant La Table de Pierre. 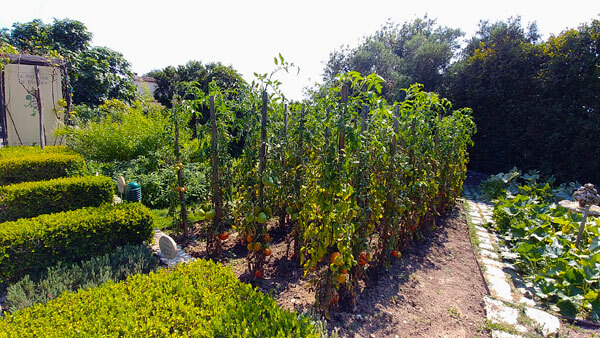 With these excellent fresh products, the chef Emmanuel Lehrer creates a menu with Mediterranean flavors, renewed every fortnight, with a suggestion of the day according to the arrival from the market and the Potager de Pierre, where the gardener is cultivating with love the fresh vegetables you find “à l’ardoise”. 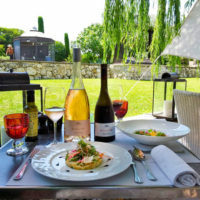 In a flowery and wooded environment with the subtle perfumes of Provence, the chef is delivering into the plate the motto “Get a taste of the most beautiful things in life”. 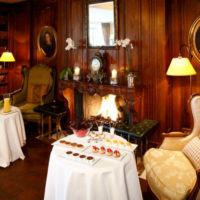 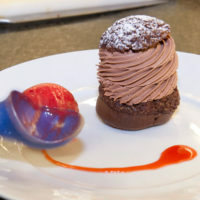 His menu offers three starters, three dishes (including a vegetarian one) and three desserts, with an invitation to freshness in these hot periods, with home-made ice creams and sorbets signed by Pastry-Glacier chef Jean-Luc Kenneally. 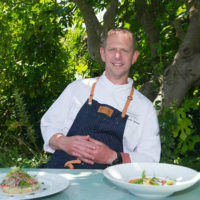 Emmanuel Lehrer is offering an organic, local-market-fresh, “around the product” cuisine, which sublimates its singularity, adding his touch of talent and passion to those of the producers who made the raw materials. 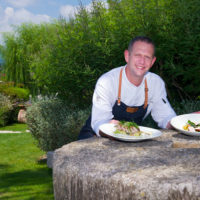 The palette of authentic and colorful flavors composed by the talent of this exceptional chef, is bringing pleasures of pupils and taste buds in explosions of taste, with right seasonings and perfectly mastered cooking, in a harmony sunny with the olive oil of Rémy Rouch in Saint Blaise. 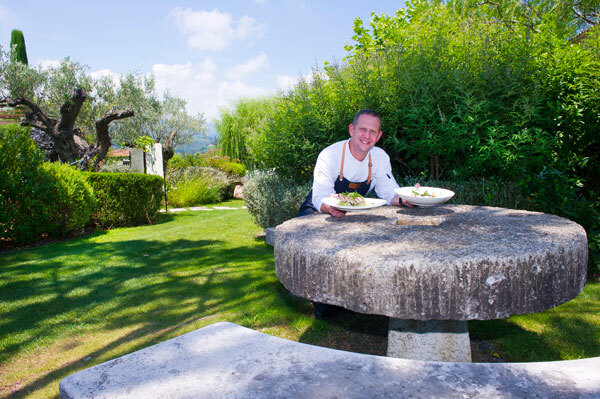 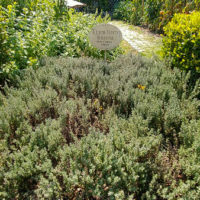 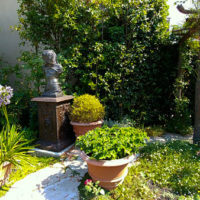 The chef also draws his inspiration from the gardens of Le Mas de Pierre: thyme, rosemary, savory or oregano, and other aromatics are very present in the menu of the restaurants. 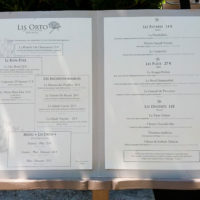 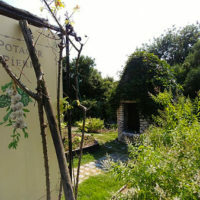 Enjoyable at Lis Orto: a Wellness Menu at € 33, some Incontournables from € 21 to € 24 such as the Salade Niçoise or the Burrata from Apulia and its Peasant Tomatoes, or the Menu Lis Orto “From Earth to Sea” . 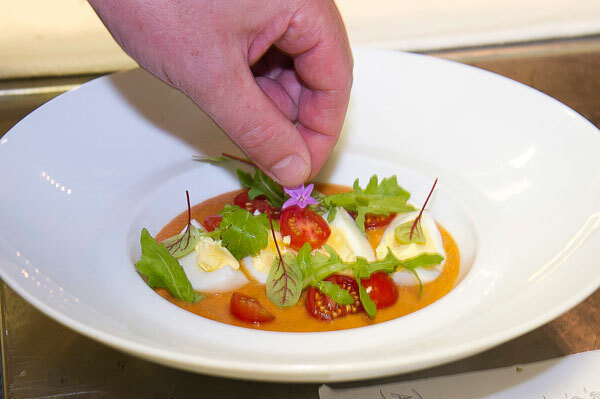 The chef favors a “healthy cuisine” with very little fat, and knows how to meet the customers or vegetarians “gluten-free” expectations. 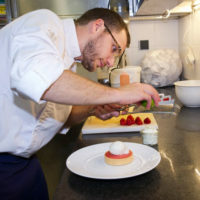 Adept of a cuisine that is respecting health and taste, Emmanuel Lehrer, accompanied by his Pastry-Glacier Chef Jean-Luc Kenneally, has benefited from a training course at Michel Guérard, to implement a culinary technique that make use of a very little or no fat. 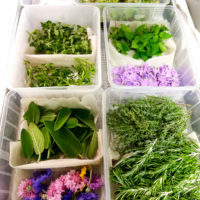 Synonymous with well-being, this philosophy is highlighted in the morning at the breakfast, which includes a rich stall dedicated to organic products. 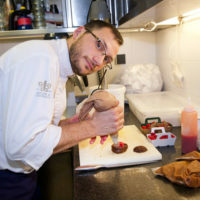 A Franco-Austrian, Emmanuel put his first pastry dress at the age of ten! 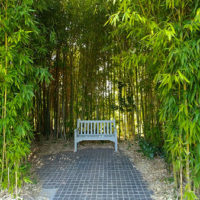 His future is therefore all mapped out. 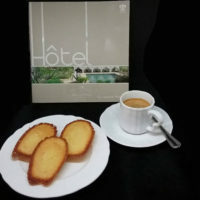 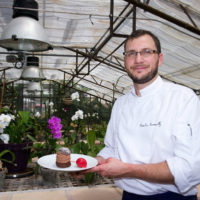 After the hotel school in Strasbourg, he trained in Switzerland with Didier de Courten, then discovered luxury hotels (Saint Barth, Verbier, Carcassonne, Paris). 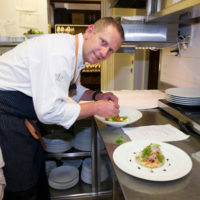 He joined Michel Rostang at the Méridien and participated in the opening of the group’s restaurants in Dubai, Vienna & Milan. 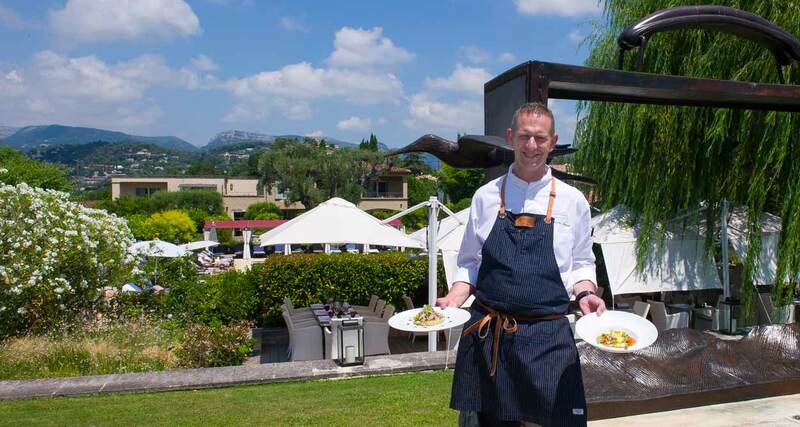 After five years in various establishments in Monte-Carlo, he became Chef des Cuisines in 2009 at Le Mas de Pierre, keeping Michel Rostang as culinary godfather. 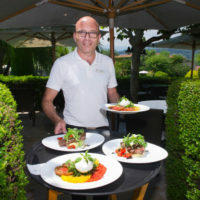 In this Provencal chic setting, he is practicing an elegant and subtle Niçoise cuisine. 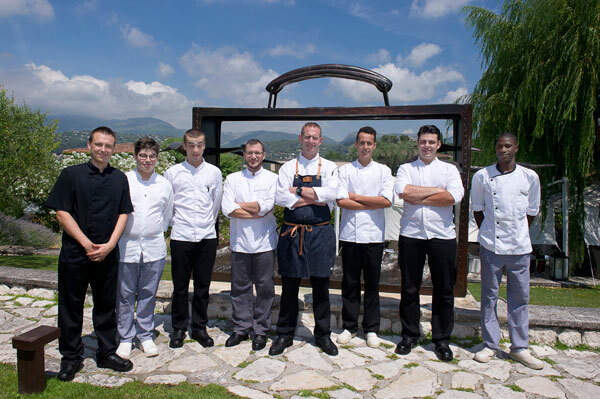 Jean-Luc Kenneally obtained his CAP and master’s degree in pastry at Lycée Escoffier in Nice. 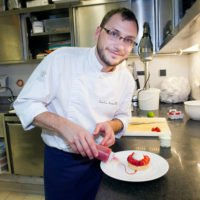 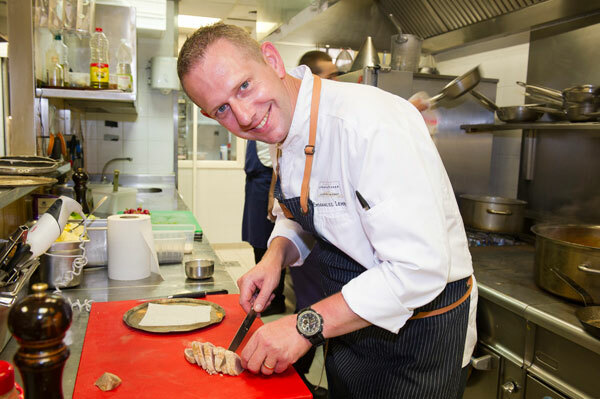 After a pastry shop and two seasons at the Royal Riviera, he joined the kitchen of the Grand Hotel Saint Jean Cap Ferrat alongside the MOF Glacier Luc Debove (which gave him the taste for ice cram). 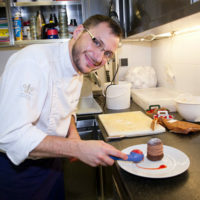 He remained there for 9 years before practicing for three years his art of sweets at Le Mas de Pierre. 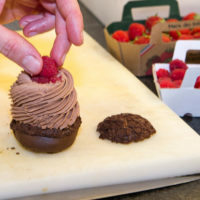 Second in the MOF Glacier contest in 2015, Jean-Luc Kenneally enjoys working ice cream and strawberries. 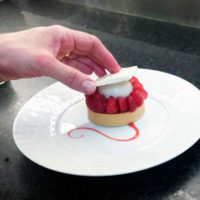 His favorite dessert: the Vacherin unstructured. 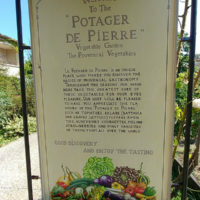 Fraîcheur à la table de pierre! 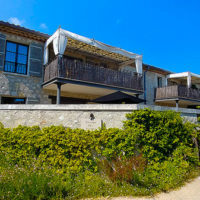 From 2020, Le Mas de Pierre will become a resort open all year round. 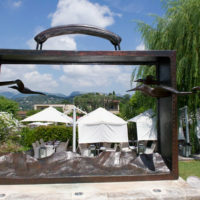 The hotel will offer 22 additional rooms, a new spa with an indoor pool and a large lagoon for children. 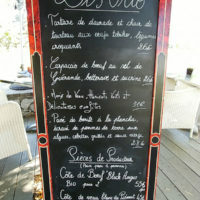 A new restauration offer, related to the transformation of La table de Pierre will be implemented. 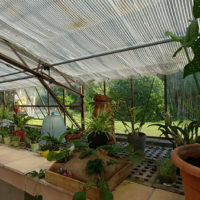 The existing spaces will be transformed into a large room including an open kitchen extended by a covered terrace that will open on sunny days. 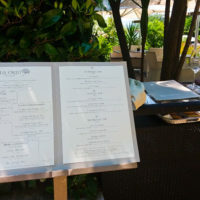 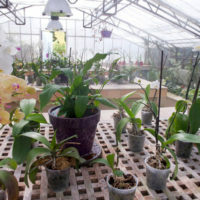 The Provencal Bistro Lis Orto will find its place later, with its own kitchen, at the current location of the fitness center near the pool. 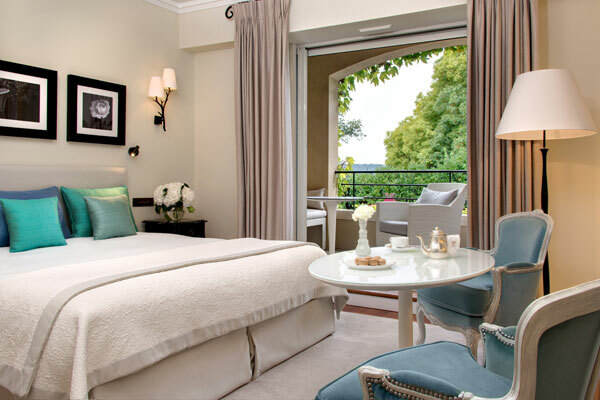 The 5-star Relais & Châteaux Le Mas de Pierre has 54 rooms, suites and apartments with balconies, loggias or terraces. 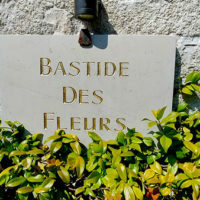 The rooms are decorated in the intimate character of a family Provencal charm house with solid wood or natural stone floors, whitewashed walls, white marble in the bathrooms, furniture mixing classicism and modernity and silk or velvet fabrics with soft tones of blue, pink and beige, are elegantly associated with the new history of Le Mas de Pierre. 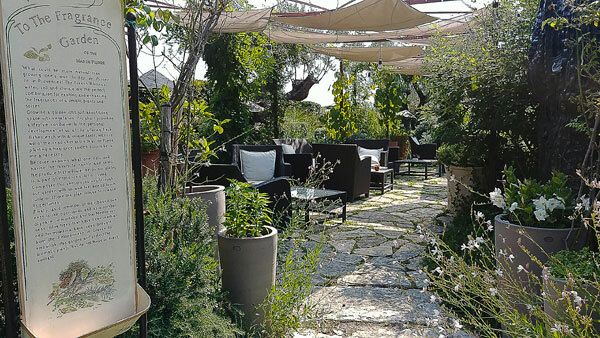 The seminar areas offer 5 meeting rooms extended by a terrace with panoramic views over the gardens of the estate. 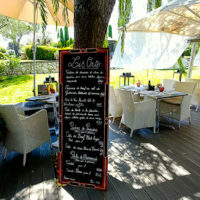 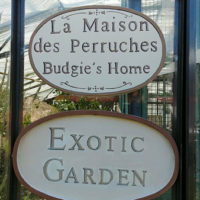 Private garages, electric cars, concierge, butler, valet, complete Le Mas de Pierre hotel offer. 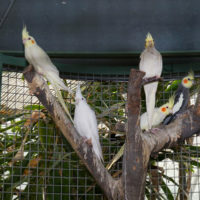 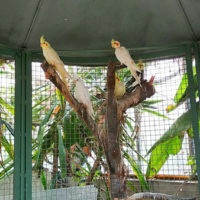 The estate also includes: outdoor heated and musical pools, private cabanas, Payot spa with 2 massage cabins, jaccuzzy, sauna, hammam, fitness, rose garden, petanque court, aviary, 3000 m2 of landscaped gardens, planted with ancient olive trees, a Orchid greenhouse next to an aviary with exotic birds and a vegetable garden: Le Potager de Pierre. 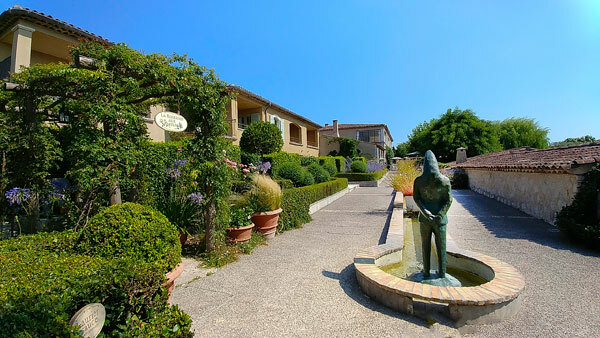 A free shuttle is connecting Le Mas de Pierre to the village of Saint Paul de Vence. 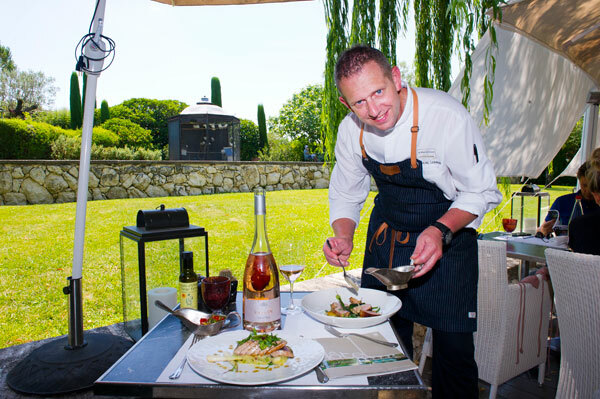 Every Thursday evening in July and August, from 7 pm, the Garden Party around a barbecue with live music is inviting to the pleasure of the senses and sharing in a spirit of conviviality under the starry vault of the Provence sky. 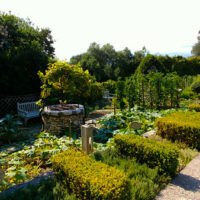 For older people, Yoga sessions, muscular awakening, relaxation session (in Le Mas de Pierre gardens), aqua-fitness session in the pool. 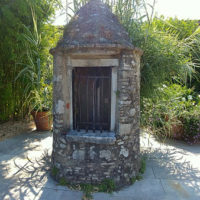 For sports-people, hiking in the hinterland of the village of Saint Paul de Vence, kayaking in the Mediterranean and jogging trails. 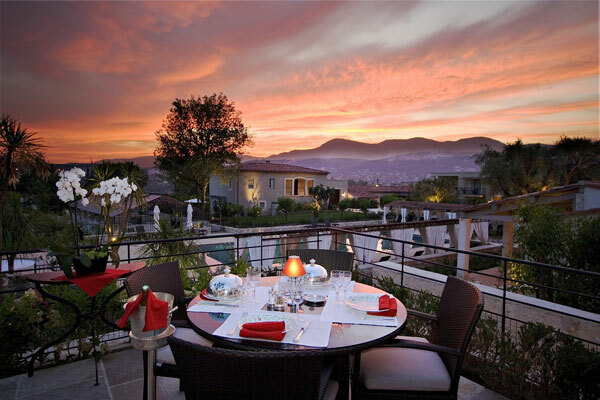 For culture lovers, Rolls Royce rides, outdoor cinema under the stars. 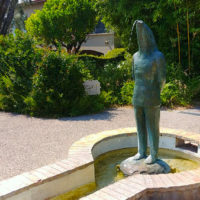 The perched villages: Saint Jeannet, Vence, Tourrettes, Mougins, Eze, Gourdon, Peille, with crafts and art: Village of Potters (Vallauris), glassmakers (Biot), antique dealers (La Colle sur Loup), painters (Saint Paul), Provencal markets. 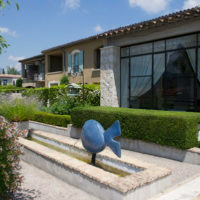 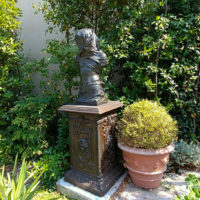 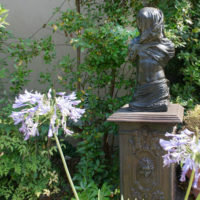 Museums: Fondation Maeght, Matisse Chapel, Fernand Léger, Renoir, Picasso, Chagall, Matisse, Modern Art. 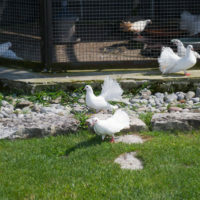 Sea evasion at 5 km. 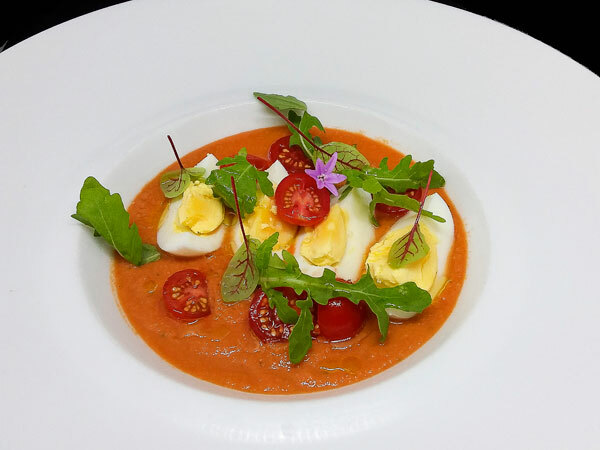 The Gaspacho: Tomatoes of our peasants, Salmojero way. 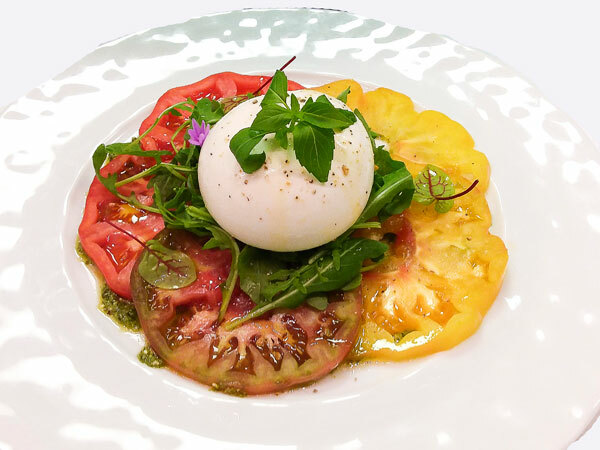 Fresh, colorful, vitaminized, sunny, light and tasty, all the southern flavors on the plate. 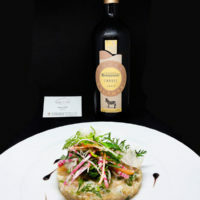 Explosion of taste, long and expressive in mouth, with the roquette salad and the soft power of olive oil, from Rémy Rouch in Saint Blaise, of course! 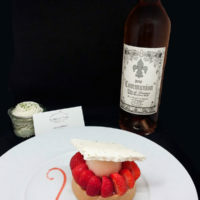 Suggestion of wine: Côtes de Provence – Whispering Angel Rosé 2017 – Château d’Esclans de Sacha Lichine. 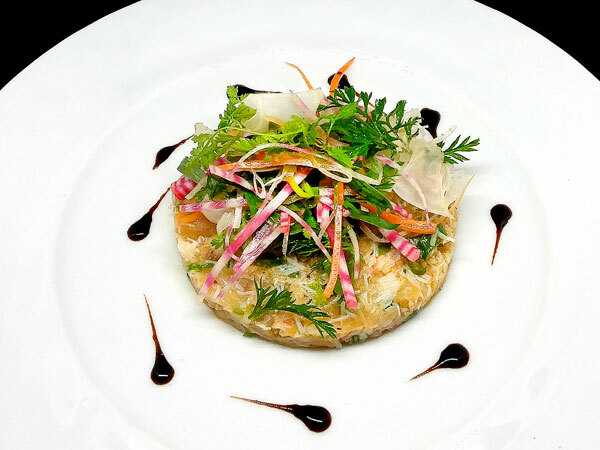 Seabream Tartar and Crab Meat with Tobiko Egg, Crunchy Vegetables: iodine flavors beautifully blend with fresh dill and crunchy vegetables: fresh onions, young carrot and beetroot sprouts. 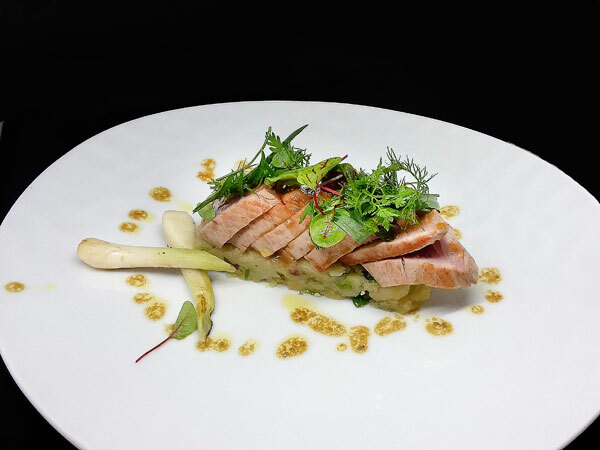 A beautiful blend of sea, earth and aromatic flavors from Le Jardin des Saveurs. 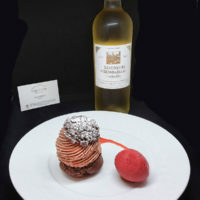 Suggestion of wine: Château Barbanau – Cuvée Kalahari – Cassis 2014. 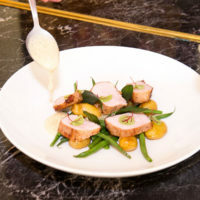 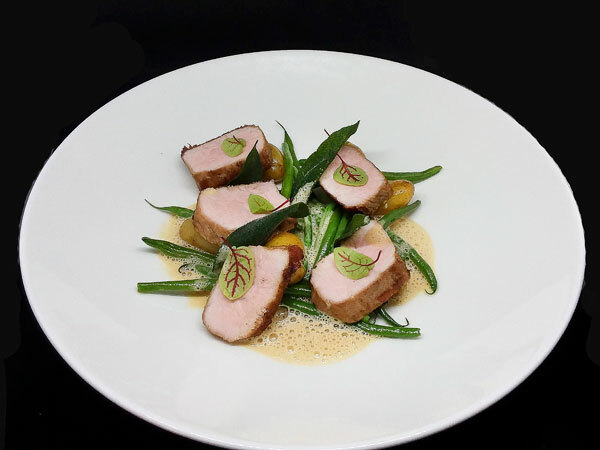 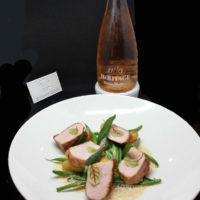 Veal Cushion, Green Beans and Delicacy Confit: a rosé meat, tender to heart, crisp green beans, melting spleen potatoes, crowned with grilled, scented in the midday sun sage leaves, the whole covered with a creamy emulsion. 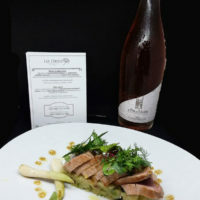 Suggestion of wine: Château Reillanne – Rosé Cuvée Héritage 1189. 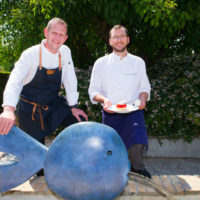 Pavé de Bonite à la Plancha, Crushed Potatoes with Seaweed, Grilled Cebettes and Virgin Sauce: fine and melting flesh, beautiful iodized flavors, happy alliance of the sea and the kitchen garden. 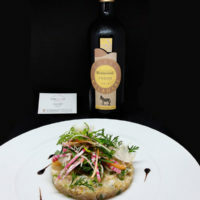 High in aromatic flavors, the virgin sauce pepperes the delicate flesh of the fish. 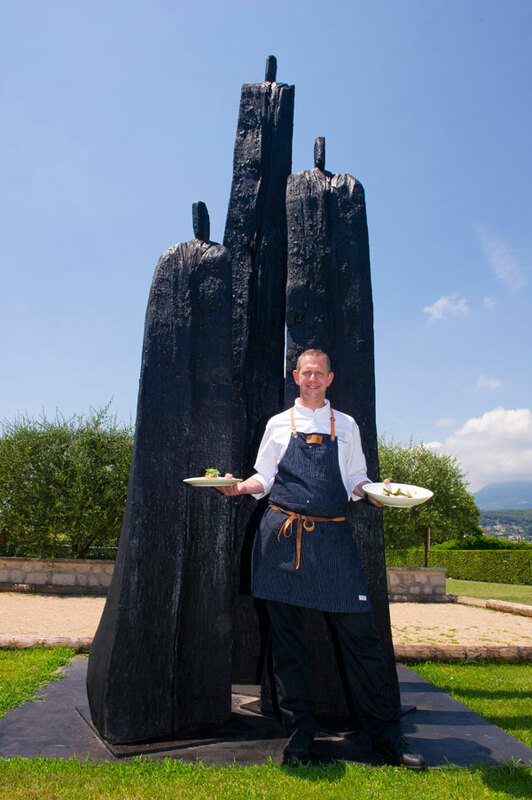 Rémy Rouch’s olive oil works wondes! 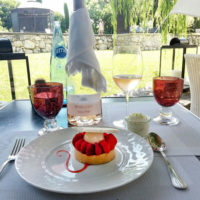 Wine suggestion: Côtes de Provence rosé – Château Gassier – Le Pas du Moine. 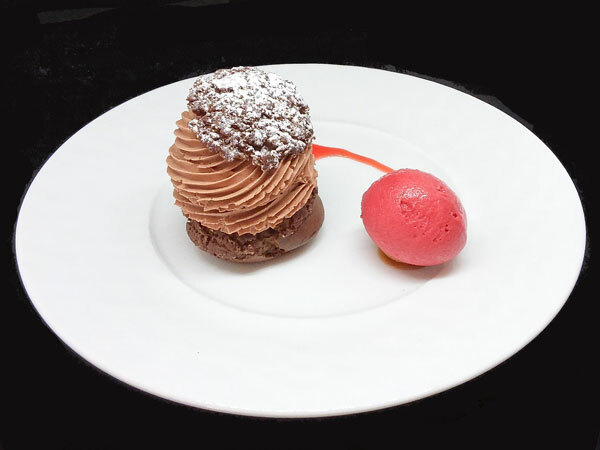 Organic Chocolate Choux, Caramel and Raspberry Sorbet. 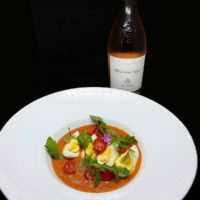 Suggestion of wine: Blanc Seigneur de Monbazillac – Cuvée 2013. 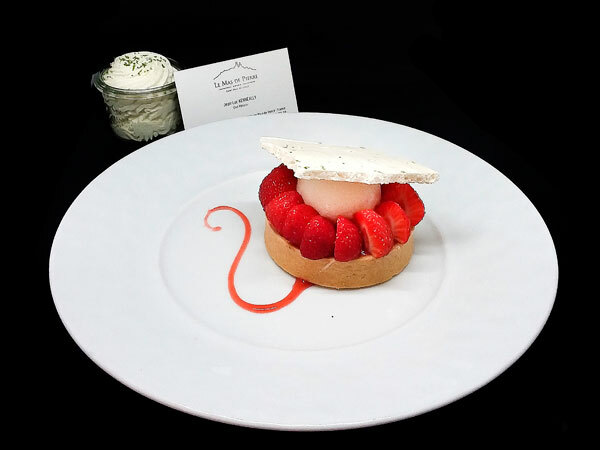 Ice crem Tart, Strawberries from Carros and Lemongrass. 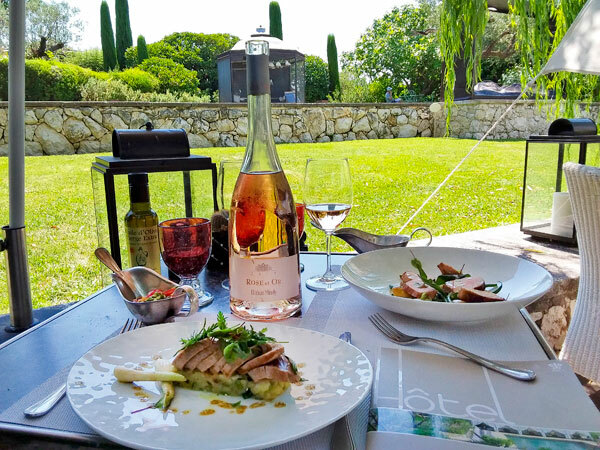 Suggestion of wine: Côtes de Provence – Cuvée Communion 2016.